Why do robins sing …? In addition to my work as a writer and a poet, I have the honor of serving mothers in my role as a childbirth doula, counselor, and educator. Yesterday, I was visiting a mom in the hospital along with a friend of hers. The friend was a singer! To entertain us, she sang a song called “I Know Why and So Do You,” which was originally composed for the film “Sun Valley Serenade” (1941). I loved the lyrics, which are so poetic! 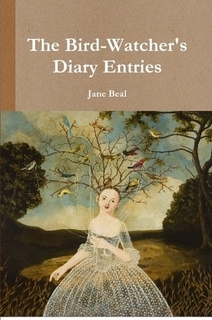 To purchase this new book and begin enjoying poetry about birds for yourself, either in e-book or hardcopy format, click: THE BIRD-WATCHER’S DIARY ENTRIES. on a highway in France. (at dawn in a chapel trembling with cold). as if salvation were just growing in the garden. Where was I going? Where was the sun hiding? on both sides of the road, brittle as a paper map. gulping hard tears of hail. Far from dawn. Far from home. In place of walls — sheet metal. Instead of a vigil — a flight. A quick poem instead of a hymn. and night, widow of so many dreams.